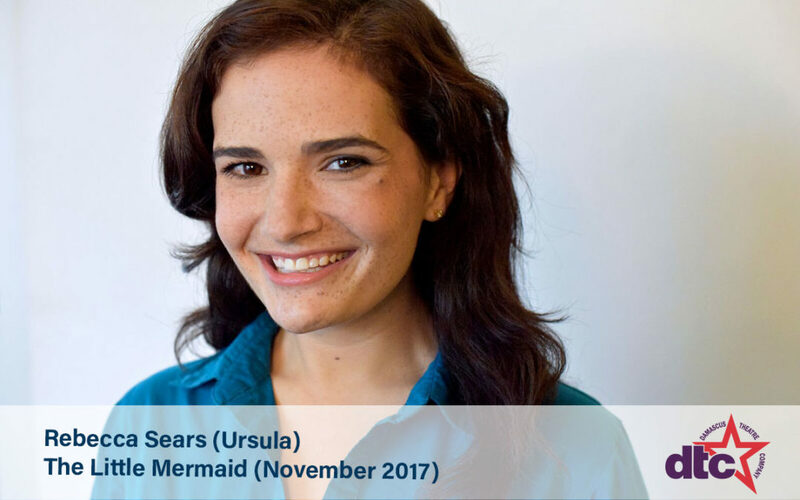 Rebecca Sears (Becca) is thrilled to be playing the sinister Ursula in November’s Disney’s The Little Mermaid. She loves Disney and the Damascus Theatre Company! I am absolutely honored to be playing the role of Ursula. I have been in love with this character since I used to dance around in my parent’s basement to all of my Disney VHS tapes. “Poor Unfortunate Souls” has always been one of my favorites and I cannot believe how lucky I am to be able to perform it for an audience. Ursula is such an evil diva and she is so much fun to play, especially with the two evil eel henchmen she gets to boss around. I have two favorite parts. Read-through and Opening night. Read through is so much fun because you get to meet everyone and learn who they are going to be playing. I also enjoy hearing everyone read for the first time. Everyone gets to experience the script together and it is the first moment of a cast bonding together. Opening night is so much fun because by the time it comes around, you and your castmates are SO ready for an audience. All of the work put in finally gets a pay off, not just with applause and laughter/reactions, but by having others view the work that everyone has been doing for months. I love giving the audience a great show and letting them get lost in another world. I’ve been dramatic my whole life, but my first performance was a Christmas show with my church. I didn’t really get into theatre itself until 8th grade and it continued since then. I’ve done a lot of shows. 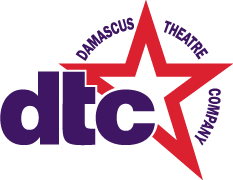 Some with Damascus High School, tons in college and with various local companies, and I hope to continue to branch out and do as many as I possibly can. I have a B.F.A. in acting from Clarion University in PA. No formal voice training, but the best training anyone can get is to just keep doing shows. The more you act/sing the better you get. You learn to work in different roles and you learn to work with all kinds of people/personality types. The main thing I love about theatre is that it takes the audience (not to mention the cast) away from the world for a little while. When I am onstage or in the audience I am transported into whatever world the playwright intended and I get to forget (or help other people forget) their worries/problems and just be engulfed in the world of a show. Come see Becca and the rest of the cast and crew November 10-19 at the Carl Freeman Auditorium, 2001 Olney-Sandy Spring Road, Olney, Maryland. BUY TICKETS TO SEE THE LITTLE MERMAID!